Seattle Seahawks vs Minnesota Vikings Picks, Predictions and Betting Tips for the Monday Night Football special at CenturyLink Field. Can the Seahawks pick up their 4th straight victory? Or will the Vikings pick up the win to keep their playoff hopes alive? Read on for all of our free NFL tips! CenturyLink Field will be the host for Monday Night Football this week as the Seahawks try and take down the visiting Vikings. 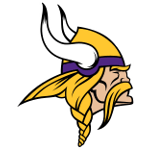 This game is pivotal for Minnesota as they try to keep pace in a crowded NFC playoff hunt, as a loss in Seattle could really dampen their postseason hopes. For Seattle, a win could greatly help their chances to secure the 1st Wild Card spot especially considering they still have games against the Cardinals and 49ers. This past week the hosts were able to rout the 49ers by 27 points. Seattle was very efficient on offense and their defense was able to force 3 turnovers, one of which they were able to return for a touchdown. That’s now four straight wins for Seattle and it seems the offense is really coming alive now that QB Russell Wilson has a dynamic rushing attack in RBs Chris Carson and Rashaad Penny. The visitors weren’t as fortunate this past weekend as they has to head up to Foxborough to face the Patriots. The Vikes couldn’t get much going offensively as QB Kirk Cousins was extremely rattled by the Patriots’ pass rush. Cousins had just 201 yards through the air on a whopping 32 completions and also ended up throwing a pair of interceptions. The Minnesota defense was decent but couldn’t get their pass rush going, which led to the unit getting worn down by the New England offense. They ended up giving up over 470 total yards and allowed the Pats to convert on half of their 14 3rd down plays. With all of this considered, we like the Seahawks to cover the spread in this one. Seattle has a much more stable offense and a great home-field advantage which should carry them to victory in this one. On the other hand, Minnesota has struggled against good competition, as evidenced by their 1-7 ATS record in their last 8 games against winning teams. The Seahawks’ pass rush should be able to take advantage of a poor Vikings’ offensive line and create problems for Cousins all game long. We think in the end both defenses will play well, but the more efficient and balanced Seahawks’ offense will be able to get a little more work done to secure the victory. We think this one ends around the 24-17 mark, so we are comfortable laying the points with the Seahawks in their color rush uniforms. In addition to the spread, we also like the under on the points total for this contest. Seattle has a great running attack that they rely heavily on with Carson and Penny, but Minnesota has the 2nd-highest graded run defense and the top-ranked tackling unit in the league according to Pro Football Focus. Because of this we think the Vikings will be able to somewhat limit the success of the Seattle offense both with their run stopping ability and their solid pass rush. Seattle will run the ball a lot and the Vikings should come up with a couple of big sacks to keep the clock moving on that end. In addition, the Vikings’ offense has struggles this season especially on the road against good competition. Something doesn’t seem to be clicking with QB Kirk Cousins and we want to ride this trend until he shows us otherwise. Seattle has dominated this series as of late with a 7-3 SU and 6-4 ATS record in their past 10 meetings with Minnesota. The O/U 6-4 in these last 10 games with the average combined score totaling around 49 points. Minnesota is 5-8-2 ATS in their last 15 games and just 2-4-1 ATS in their last 7 road games. The total has gone under in 4 of Minnesota’s last 5 games, but has gone over in 5 of their last 7 road games. Seattle is 6-1-1 ATS in their last 8 games and 15-7 SU in their last 22 home games. The total has gone over in 4 of Seattle’s last 5 home games. RB Chris Carson is listed as probable despite his finger injury. LB K.J. Wright (knee), DT Shamar Stephen (foot), RB Tre Madden (sternum), and S Shalom Lunai (quad) are all listed as questionable. G D.J. Fluker is out indefinitely with a hamstring injury. CB Trae Waynes (concussion) and TE David Morgan (knee) are both listed as quesitonable.